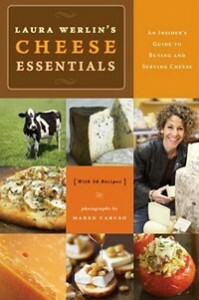 With Laura Werlin Cheese Essentials the veteran author (New American Cheese; All American Cheese and Wine Book and Great Grilled Cheese) has written an approachable and comprehensive yet easy-to-follow guide to buying, understanding, cooking, and entertaining with cheese. She easily achieves her goal of making us ‘cheese wise’ and gives us the basic knowledge to eliminate any anxiety at the cheese counter. The heart of the book consists of the individual chapters on the eight styles of cheese – fresh, semi-soft, soft-ripened, surface-ripened, hard, blue, and washed rind. It is Werlin firm belief that, “if you understand these eight basic styles you will have a very good idea of how all cheeses taste. “ She first primes us with the best use for each particular style of cheese, then a list of cheeses in that style most readily available in the shops. She then gives us the visual characteristics that distinguish that style of cheese and further delves into how each style of cheese is made. All of this leads us to the key point which is what to look for when buying each style so we make informed, and tasty decisions. There are also bits on storing cheese, cheese and wine pairing and suggestions for cheese trays. 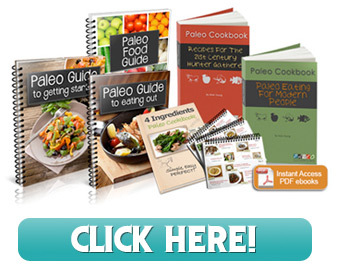 In addition, she offers fifty recipes showcasing these different styles. A fun addition to the book to try on yourself or perhaps theme a cheese-tasting party around are ‘take-home tests’ where Werlin gives us cheese students specific tasting assignment’s aimed to give both a broader understanding of the flavors within each style and enable you to find your preferences and easily identify each style. It is also a neat, well designed package with good use of color, photographs, useful sidebars and charts. A nice slick package for this humble of food favorites.